We also offer special Louisiana plates, calculating the cost to convert you from your current plate to a Special Plate. Please be sure that you have properly titled and registered the vehicle in your name. If you would like to order special plates, please click here to get started. 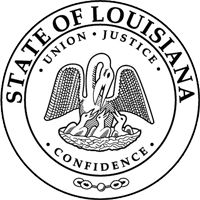 Ascension Auto Title, as a licensed and bonded Louisiana Public Tag Agency, is changing the way you think about registering and titling your vehicle. We perform the exact same services offered at the Louisiana Office of Motor Vehicles - in minutes rather than hours. We essentially become Your "Personal" Motor Vehicle Office.